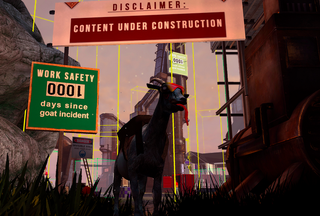 Today, the latest expansion for Goat Simulator releases on Steam. It’s a survival game with zombies in it...that totally makes fun of other stereotypical zombie games on Steam. Yes, that’s all on the official store page. Pretty great, eh?